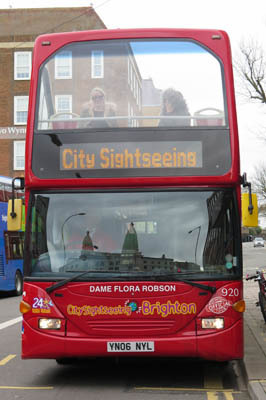 Connections with Brighton and Hove : Many stage and screen actors and actresses came to live in Brighton after the Second World War. 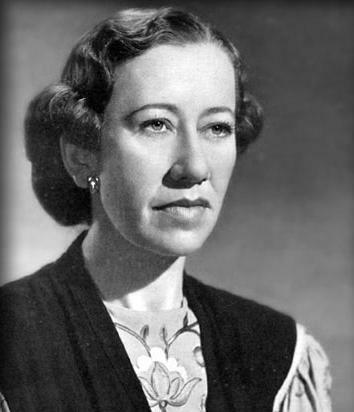 Among them was Dame Flora Robson, doyenne of the British stage and screen for many decades. Never showy or stuck up, Dame Flora was well loved in her adopted town. She lived in Marine Gardens during the Sixties and Seventies when she was still active on the stage. Later she moved to Wykeham Terrace near the Clock Tower and seldom turned down an invitation to open a fete or garden partite in aid of charity. Among the many buildings she opened was the pioneering toy library in Whitehawk in 1973. 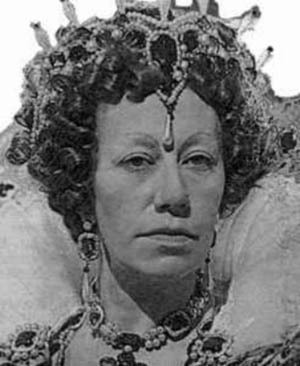 Dame Flora appeared many times at the Theatre Royal in Brighton but was more often in long runs in the West End. 920 Scania Omnidekka open topper March 2015. 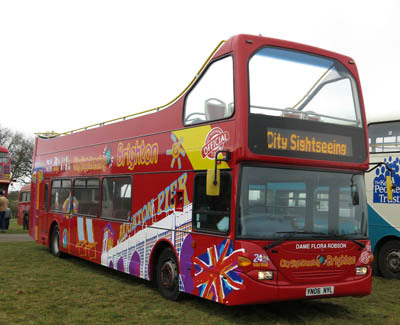 Previously on bus 820 Dennis Trident.